Dr. Jacques de Champlain died unexpectedly from a myocardial infarction on July 15, 2009. He was riding his bike in Richford, Vermont with his spouse and grand-children. They were on their way back to Sutton, less than 2 km from customs, when the tragedy occurred. Unfortunately, Dr. de Champlain did not receive the optimal prehospital care that was required for his condition. He would not have received optimal care either if he had suffered his cardiac arrest on the Canadian side of the border in the Eastern Townships, a region he was very fond of. In fact, there was no first responder service in place and no rapid access to cardiac defibrillation in this rural area. Born in Quebec City in 1938, Jacques de Champlain graduated in Medicine at Université de Montreal in 1962 and was awarded his PhD in 1965 from Mc Gill University. He had the privilege to do his post-doctorate under the tutelage of Dr. Julius Axelrod at the National Institute of Mental Health (Bethesda, Maryland). Dr. Axelrod went on to win the Nobel Prize of Physiology or Medicine in 1970 for his neurotransmitter research. Dr. de Champlain returned to Canada in 1968 and joined the Physiology Department of Université de Montreal as a professor and research scientist. In 1976, he became a member of the Medical Research Council (MRC) and a year later a member of its Executive Committee. He was a founding member, later Vice-President (1979- 1981) and finally President (1981-1982) of the Canadian Hypertension Society. He was also involved with the Canadian Society for Clinical Investigation as a Council Member from 1982-1984, then President-Elect in 1984-1985 and 1985-1986. He was a council member of the International Society of Hypertension, a council member of the Inter-American Society of Hypertension, a fellow of the Council for High Blood Pressure (American Heart Association) and a fellow of the Royal College of Physicians and Surgeons of Canada. In 1992, he was a founding member of the Société québécoise d’hypertension and later became its President from 1997 to 1999. Dr. de Champlain was also actively involved in the organization of several major scientific seminars and was the President of the Organizing Committee for the 13th Scientific Meeting of the International Society of Hypertension which was held in Montreal in 1990 and attracted over 5000 delegates from 72 countries. He was on the editorial board of seven reputed international scientific periodicals and Associate Editor for the prestigious Journal of Hypertension. Prix Leo-Parizeau awarded by the Association canadienne-francaise pour l’avancement des sciences (ACFAS, 1990); Research Achievement Award granted by the Canadian Cardiovascular Society (CCS, 1990); Career Achievement Award from the Canadian Hypertension Society (CHS, 1991); Prix Coeur Québec-Argent of the Fondation des maladies du Coeur du Québec (1991); The Izaak Walton Killam Prize awarded by the Canada Council for the Arts (1991). In May 1993 he became a fellow of the Canadian Royal Society in the Academies of Sciences and received its prestigious McLaughlin Medal in 1994. In 1996, he accepted the Wilder-Penfield Prize from the Quebec Government (Prix du Québec) and in 1998, he was awarded the Career Achievement Award by l’Association des médecins de langue francaise du Canada (AMLFC). He was named Officer of the Order of Canada in 1997 followed by Officier de l’Ordre National du Québec in 1999. Dr. de Champlain was chosen Médecin de mérite by the scientific magazine L’Actualité Médicale in 2000 and received the Queen Elizabeth II Golden Jubilee Medal awarded by the Governor General of Canada in 2002. In 2003 he was awarded the Ken Bowman Research Award from the Institute of Cardiovascular Sciences of the University of Manitoba. The Club de recherche clinique du Québec awarded him with the Prix Michel-Sarrazin (1998) and later the Prix du mentor scientifique (2003). He was elected fellow of the American Heart Association (2001), of the International Academy of Cardiovascular Sciences (2002) and of the Canadian Academy of Health Sciences (2005). Dr. de Champlain pursued his research studies both at the physiology department of Université de Montréal and at the Institut de recherches cliniques de Montréal of which he was named Director of the Autonomous Nervous System Clinical Research Lab in 2001. 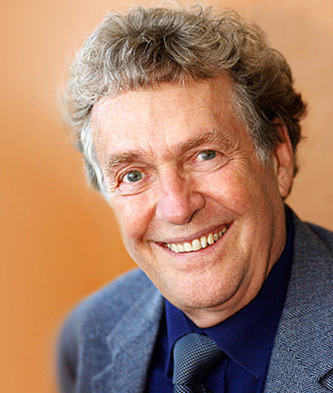 In 2003, he obtained the title of Emeritus Professor from Université de Montréal. He was a council member of the Canadian Institute of Circulatory and Respiratory Health (ICRH) since 2000. During his career, Dr. de Champlain published over 500 papers in some of the most recognized scientific journals and made over 500 presentations in scientific meetings and international conventions around the world. He participated in the publications of numerous textbook chapters and guidelines on the management and treatment of hypertension. At the time of his death, he was also treating more than 600 patients with various degrees of hypertension. Despite all the honors and awards he received, Jacques de Champlain was a modest and very generous man. He had many interests and lived life to its fullest; he was an inspiration for his peers, his students as well as his family and friends. He died unexpectedly while cycling in Vermont on July 15th 2009. The Jacques de Champlain Foundation honors his memory and aims to improve resuscitation care and support research in the cardiovascular field.